Composting weeds can be very tricky. One slip and you’ll find yourself spreading weeds across your garden. This is why most gardeners are reluctant in using weeds as compost for their plants. While there are actual risks in using weeds as compost, there are ways on how you can avoid this. With careful planning and the right mixture of compost. You could make a well-balanced compost at home. There are different methods that you can try to prevent any weeds from growing again. Composting is a great way to reduce waste in your garden and we encourage every gardener to do the same. 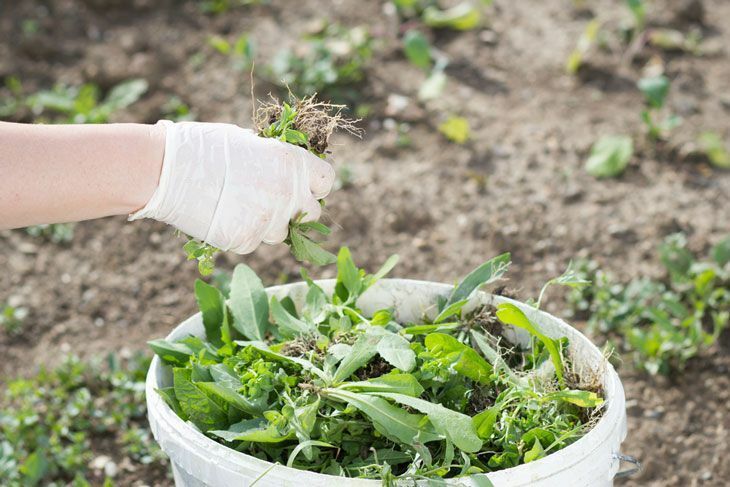 In this article, we will guide you through the different ways on how to make compost from weeds. Follow the directions carefully because you don’t want your garden to be infested with weeds. Learning how to make compost from weeds takes time and skill. But this will prove useful for any gardener in the long run. Composting is the breaking down of an organic compound to its very basic structure. It’s recycling various organic substances and using it as food for the soil. Composting is a natural process that’s nature's way of keeping things balanced. Composting can be done in different ways. The process can be replicated and modified by anyone who has experience in the field. Composting is a great way to reduce waste in your home. Some people use table scraps to make compost with the help of worms. In this article, we will explore composting with the use of weeds in your garden. Composting weeds is easy. This is because all you need to do is to follow these simple steps to make your own compost at home. There are a lot of methods to choose from so pick one that best suits you. Composting can be complicated sometimes. That’s why you’ll need to gather these materials to successfully make your compost. These materials are just easy to find, you could even find them at your home. Take your time in finding these items because the success of your compost depends on these items. Bins and buckets will serve as the container for your compost. Depending on the method that you’ll use. The bin or bucket will be proportional to the amount of compost mixture that you’ll make. So, prepare a good bin for your weed compost to settle. Composter mix is a compound used to increase the process of decomposition. It’s added to any organic material that you want to compost. You can buy this product at your local store or online. It will greatly help you speed up the composting method of your choice of the matter. Composing base is your base agents which will be turned into compost. This is the most important material you’ll need to make compost. Your composing base includes your grass, weeds, and table scraps. There’s a method in turning weeds into compost with the use of a sack. 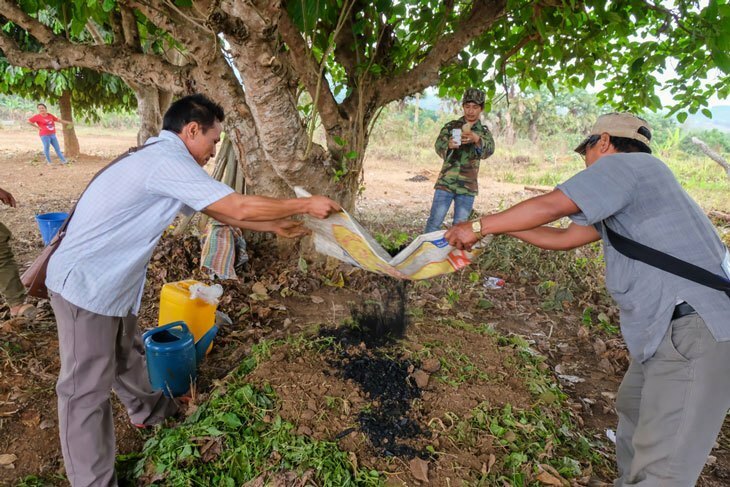 As ridiculous as it may sound, a sack can be used as a way of making compost. There are various substances added to the sack together with the weed to make the compost. Now that you have an idea on what composting is and what to prepare. 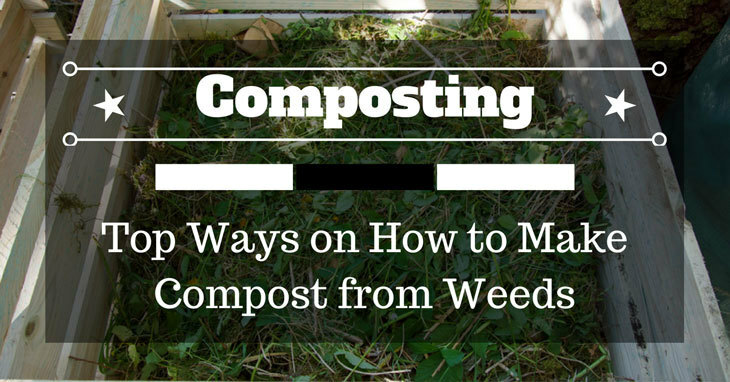 It’s time to dig deep into the methods of making compost from weeds. Read carefully each method to avoid growing weeds in your garden. The first method in our list is the weed decomposing method. This method involves getting a pile of weeds and drowning them in a bucket of water. The water will decompose the weeds inside of the bucket for a couple of months. You can use this method if you don't have time to do all of this work. The first step in this method is to gather as much as the weed as possible. The more the merrier as they say. This will boost the quality of the compost that you’re going to make so make sure it’s plenty. Next is to find a bin or basket for your weeds. This is where you’ll deposit your weeds for the time being. Or until the weeds in the bin or basket has decomposed. After placing it in a bin, add water to the bin so that the decomposition process will accelerate. After a few months, you could now use the weeds as compost for your plants. Just drain the water and you’re good to go. From wet composting, let's jump the discussion to hot composting. This method involves heating up your compost so that the weeds will dry out. Drying out the weeds will kill them faster and it will improve the decomposition stage of the weeds. To do this method, all you have to do is to gather all the weeds in one area and pile it up with hot soil. You can also do this method by digging a hole in the ground and dumping the weeds there. Next is to close the hole in the ground and set the soil on fire. You can burn leaves or other things on top of the soil. This is to heathen the soil covering the top part of the hole. This will result in the killing of the weeds on the bottom of the pit and it will start the decomposition stage. After it dries out, you can use the weeds as compost for your plants. 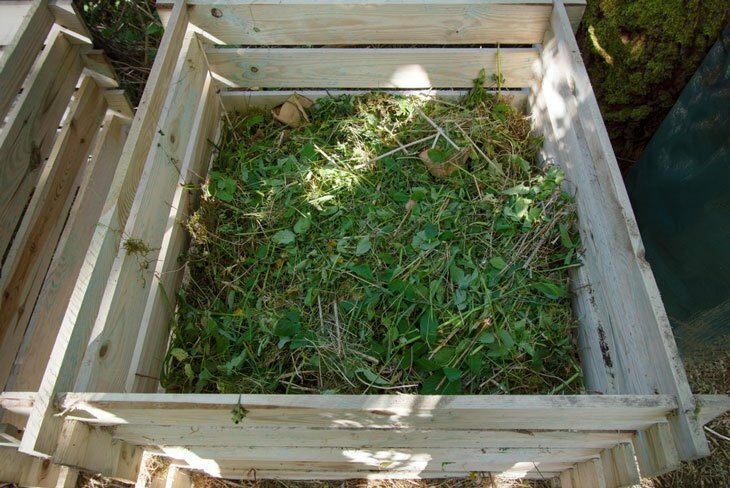 Adding composting mix is one of the easiest ways on how to make compost from weeds. Compost mix is compounds which increase the decomposition of a given base. In this case, weeds that are mixed with composing mix will rot faster and can be used as compost. To do this, all you have to do is to purchase composting mix online or in your local store. Make sure that you buy from your trusted brands of composting mix. To start, gather a lot of weeds from your garden and place them in a bin. The next step is to add the composting mix to the bin to decompose the weed. You can leave this mixture for a couple of months to truly decompose the weeds in the bin. You can also add different agents into the bin. Like dead leaves or other biodegradable materials. The last method in our list is sacking. Sacking involves gathering a lot of weeds in your garden and storing them in a sack. The sack will serve as its home for a couple of years. This process is easy to do, however, it takes years to accomplish. Denying light from the uprooted weeds will increase the decomposition stage. It will take about 2 years for the weeds to be fully decomposed and can be used as compost. You can stack up a lot of weed throughout the years to continue the process. Weeds are viewed as a big problem in the garden. But don't let these pests get in the way of your gardening. Instead of throwing them away, you can still use them as fertilizer for your soil. Follow the directions carefully so that you can enjoy using weeds as compost. We hope that this article helped you in any way. If you happen to like this article, please like and share it with your gardener friends. We hope to see you next time in our new article and thank you for your time.